I have a colleague who told me that he never pays attention to his competition, and believes talking about your competitors is a waste of time. He doesn’t care what they do. He just focuses on his business. He’s been extremely successful, so who am I to judge? On the other hand, knowing your competition’s strengths and weaknesses can certainly be useful. 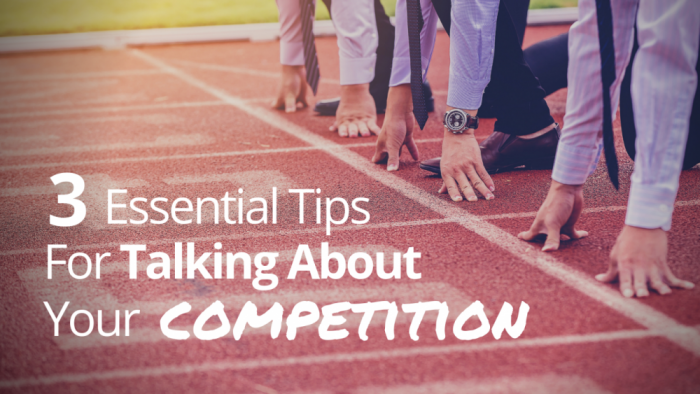 How you talk about key competitors can often make or break your client-acquisition efforts. Below are three views on talking about your competitors for you to consider and apply to your business. You’ll see that they are not mutually exclusive; but can (and should) be blended together for maximum effectiveness. The better you know your key competitors, the more effective you can be at differentiating yourself from them. When you know your competitors’ strengths and weaknesses, you can accentuate what you do you and what they don’t in a way that will appeal to your prospects. Vern has a great reputation in our industry, And there’s no question that many people like using his system. I’d say there are two key differentiators that I think make us a better fit for you. First, I know that our approach is more complete than Vern’s. Vern will teach your reps how to ask for referrals. However, we go much further in that we will help your reps become more referable in the first place – to get referrals without asking, and make the way that they ask more effective. Plus, we will show your reps how to turn a client’s willingness to provide referrals, into solid introductions that result in more appointments. 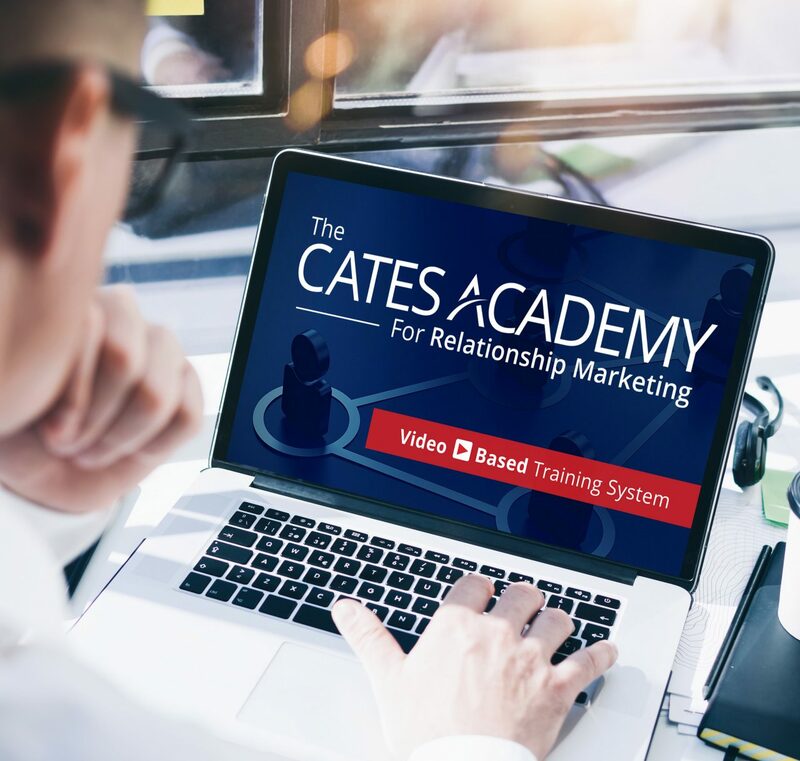 Second, we have a high-quality, online training and reinforcement program we call The Cates Academy. Adding this to the mix allows us to either reach more people in your company, in a very affordable manner, or reinforce a live session to ensure tangible results. I have actually used versions of the above dialogue many times to secure new client relationships and bring great value to those clients. I don’t know much about his/her business, but based on what I’ve learned about your business, I can tell you why I believe we are great match for you; why I think we can help you meet your stated goals. I’ve used this approach from time to time – especially when someone brings up a possible competitor I don’t know. I think the key to making this approach work is to know your prospect’s concerns and goals related to the work that you do so you can then accentuate your ability to be that perfect fit that they want. When you speak ill of your competitors, you run the risk of damaging rapport and trust with your prospects. First, if they have used your competitor or are seriously considering them, then you call their judgment into question. You are insulting them. Second, most people just don’t want to participate in this sort of negative conversation. Rise above it. Be confident in the value you know you can deliver. What has worked for you re: talking about your competitors? Or what questions to you have? I’d love to hear from you. Please leave your comment below. We can all learn from each other. Thanks! Want to Grow Your Business by 20% or More This Year? 9 Question Self-Assessment: Do You Communicate Your Value Effectively? This entry was posted in Convert Prospects into Clients (Sales) and tagged competition.